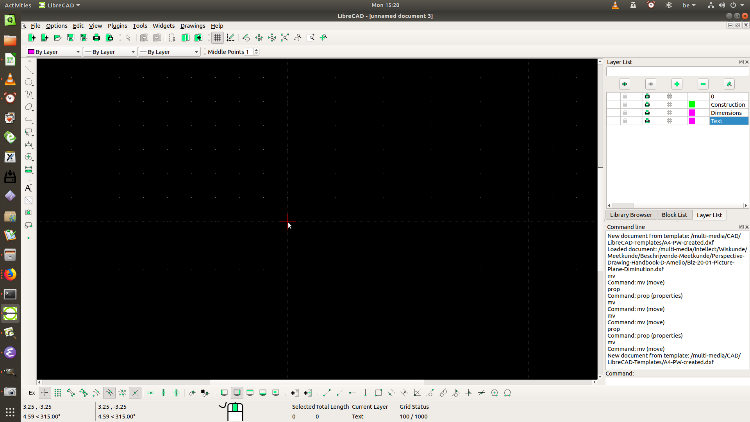 I like to let Librecad do frequent autosaves, so I set it to one every minute. Since my update to Ubuntu 18.10 an inconvenience occurred. The unpractical effect is that every time Librecad is autosaving, the drawing "jumps" "one line" down and up. Presumably, this is caused by the Qt libs which come with Ubuntu since 18.04. One issue, the extra wide layer list columns, was solved recently. Seems they have changed some default behavior of UI elements in Qt. On my system the auto save message is one line too, but it doesn't shrink the status bar. So I can't reproduce it yet, but I understand the issue. I opened a github issue to track this.